While holiday shopping is top of mind for most of us this time of year, it’s worth remembering that the Registered Retirement Savings Plan (RRSP) contribution deadline is just around the corner. The RRSP contribution deadline for the 2016 tax year is March 1, 2017, meaning there are just a few short months left to make a contribution for 2016. 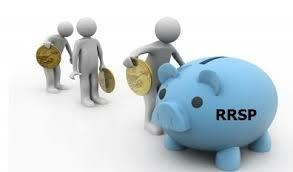 Contributing annually to an RRSP will enable you to reduce the tax you pay on your current employment income. As well as being tax deductible, annual contributions to an RRSP will grow, tax free, keeping you ahead of inflation and maintaining valuable purchasing power for your retirement years. All RRSPs share the same basic features of tax deductibility and tax deferral, but they vary in terms of flexibility and control of investments, risk and return. There exists a wide range of investment choices for all types of investors — from the most aggressive (who will buy mutual funds or, often, choose to manage their own portfolio through self-directed RRSPs), to those primarily interested in guaranteeing their principal (who might lean towards fixed-income plans), to those beginning the process of building an investment base. If you’ve got questions about RRSPs, we’d be happy to help you. Visit North Winnipeg Credit Union today to discuss your RRSP options.